Bethesda seems to have plans once again to release Fallout-themed beverages, after the company filed a new patent last week. Bethesda first released a Fallout-themed beer in 2015, as part of a promotional campaign for Fallout 4. Now, the company is planning to release “Nuka Dark Rum”; a beverage based on Nuka-Cola Dark, introduced in the Fallout 4: Nuka-World DLC. Back in 2015, Bethesda partnered with Carlsberg to create a Fallout-themed beer. In that instance, the beverage was named “Fallout Beer”. 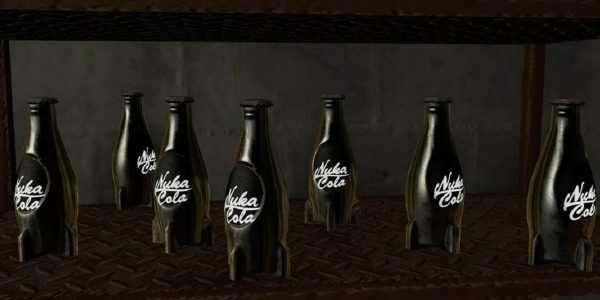 However, in-game, Bethesda introduced the first alcoholic version of Nuka-Cola in the game’s Nuka-World DLC. Called Nuka-Cola Dark, the drink boasts a 35% alcohol content. As such, they now have something to model a new alcoholic beverage on. Bethesda has partnered with the Silver Screen Bottling Co. to create Nuka Dark Rum. ZeniMax Media Inc. filed a patent for “Nuka Dark” with the United States Patent & Trademark Office on the 15th of August. 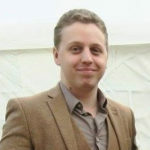 The patent is not limited to rum; in the “Goods & Services” line of the patent, it lists “liquor; bourbon; spirits; wine; beer, ale, lager, stout; beverages containing alcohol; whisky, vodka, gin, rum; liqueurs; aperitifs; digestives”. It’s entirely possible that Bethesda has more planned for this patent than just Nuka Dark Rum. At present, it’s unknown when Bethesda and the Silver Screen Bottling Co. plan to release the new rum. However, fans can sign up to an email list for news of the announcement. 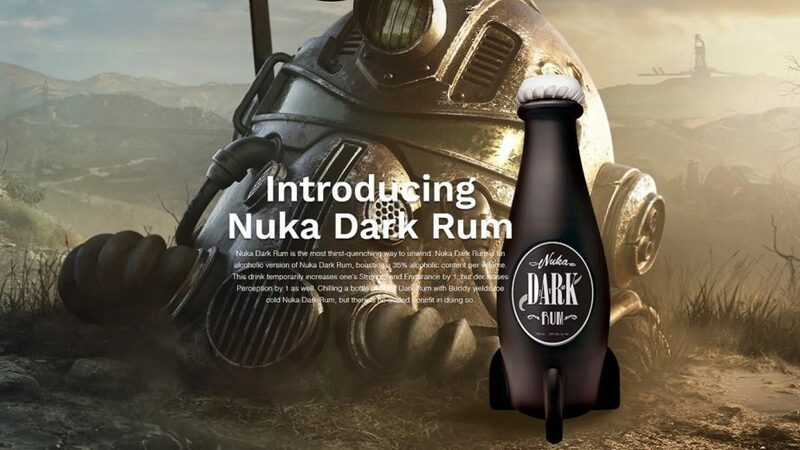 Also presently unknown is whether the Nuka Dark Rum will really “increase one’s Strength and Endurance by 1,” as stated on the launch website. Unfortunately for Fallout fans, those effects are unlikely to translate to real life. However, the recommendations to; “not operate motor vehicles or heavy machinery for at least eight hours after drinking it,” are likely to be more accurate.